The Ghosts Of Empires series is a collaboration between artists Saks Afridi & Qinza Najm. The Ghosts of Empires series explores the tension between chaos and control and the need for identity in an ever-globalizing world, while scanning territorial borders and disputed areas around the world. The compositions reflect what exists as seen through Google satellite maps, which are used as a loose foundation for the work. 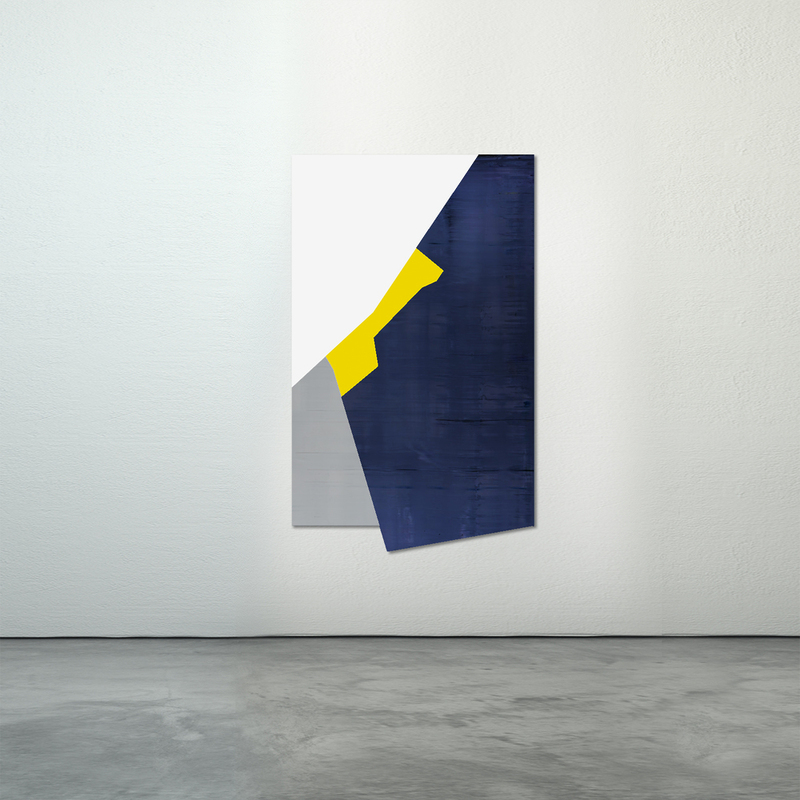 Each piece refers to a controversial dispute or area of historical significance depicting the contrast between an evolving debate and strict unforgiving geometry. 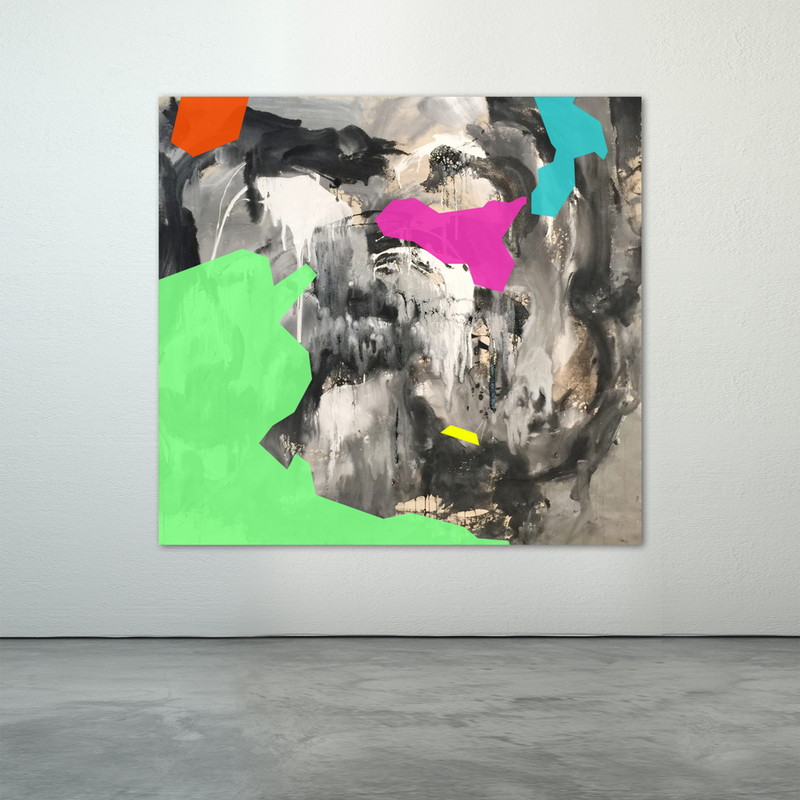 A part of the series also refers to discrepancies in map versioning, expressed through gestural painting, analogous to order and chaos. The series is equivocal and open to multiple interpretations and is intended to illuminate the geographic (and psychological) paradoxes that exist in the contemporary condition. Bolo challenges the notions of global governance, ethnicity and religion as a social construct, questioning whether they should be represented by arbitrary lines. Acrylic on canvas. 60" x 60". 2015.India and Pakistan have fought 3 wars over Kashmir. 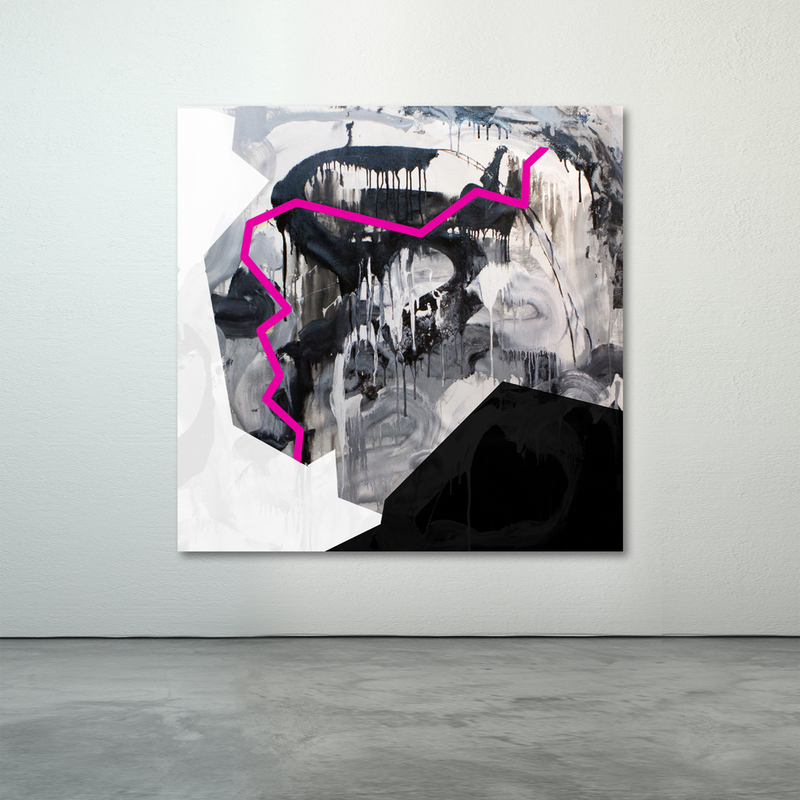 This disputed area, referenced through gestural black and white chaos, the jagged fuchsia line representing the ‘Line Of Control’. The LOC is the military control line between the Indian and Pakistani-controlled parts of Kashmir and Jammu, serving as the de facto border. Acrylic on Wood. 36 x 52. Acrylic on canvas. 36 x 50". 2014. Israel (yellow) seized the Golan Heights from Syria (grey) in the 1967 Six-Day War. A UN observer force (blue) was established on the ceasefire line in 1974. Most of the Syrian inhabitants have fled the area during the conflict and Israeli settlements have moved in. This piece was inspired by the Shouting Valley, where Syrians communicate with separated loved ones on the Israeli side by shouting across the divide. Acrylic on wood. 36" x 36". 2015. Territorial disputes in the South China Sea involve both island and maritime claims among several sovereign states within the region, namely Brunei, China, Taiwan, Malaysia, the Philippines, and Vietnam. Exploitation of suspected crude oil and natural gas under the waters of various parts of the South China Sea; and the strategic control of important shipping lanes remains a primary issue.